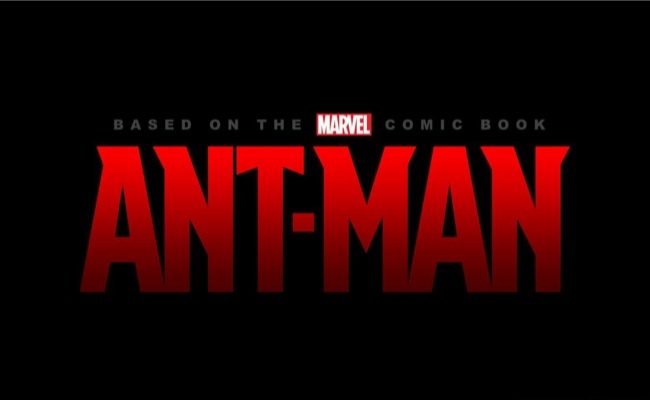 Edgar Wright's departure from Ant-Man isn't the apocalyptic portent it's made out to be. I've been waiting for the backlash hammer to fall on Marvel Studios for a while now. It's a clichÃ© to point out that popular culture cheerfully puts people and organizations onto pedestals only to even more cheerfully shove them off, and nobody among Hollywood's newer (as in distinctly 21st Century) power-players have been more adept at scrambling up said pedestal than Marvel. The studio has created an unprecedented box-office winning streak that deftly appeals to the pleasure centers of both critics and entertainment journos ("Robert Downey Jr?? Shane Black??? WE LOVE THOSE GUYS!!!") and comic book fans ("Continuity!" "Colorful Silver Age costumes!") alike. Now, as if on schedule, it feels like it might be time for the honeymoon to end. The Marvel Cinematic Universe suffered its first high-profile creative breakup one week ago with the sudden departure of Edgar Wright as director of Ant-Man; news that was met with universal disappointment by fans and the sharpening of knives by much of the critic press, sensing that the time was nigh for traffic-generating "The Marvel Age has arrived!" headlines to self-replace with equally traffic-generating "The Marvel Age is in trouble!" headlines. Especially eager to pounce was film-criticism's Old Guard, for whom a chance to kick the vanguard of the superhero-saturated present state of blockbusters is also a chance to assert themselves against the new generation of "geek" journalists whose more organic familiarity with the genre has increased the speed with which they've overtaken the business: "See what you did, you meddling kids!? You and your affection for all that continuity and canon nonsense is crushing the auteur artistry right out of the medium!!" To be sure, it's bad news all around that A. Edgar Wright won't get to make a blockbuster whose likely success (at this point, you can stick the Marvel Studios logo or the words "Avengers tie-in" on to almost anything and probably turn a profit) would've given him much-deserved box-office clout and B. that the Marvel cycle won't include the fruits of Wright's unique sensibilities. But beyond that... what's actually going on here? We live in an age where corporations, particularly in the entertainment/amusement industries, have learned how to package themselves as self-affirmation icons; a practice which I'd argue might be the true ultimate evidence that Steve Jobs was an actual genius. One can quibble over his actual technological prowess, but there's no denying that his 90s revival of Apple as the voice of New Age techno-cool has massively reshaped the face of marketing and maybe of capitalism itself. To buy an Apple product was made to feel like buying membership in a "movement" defined by warm yet sleek aesthetic futurism, soft yet soaring music, and glib platitudes about progress and creativity. Apple's aesthetic was rapidly absorbed by a booming tech industry that pitched itself as a whimsical Neverland of number-crunching Peter Pans changing the world from cheery glass-walled offices and comfy, non-threatening beanbag chairs. In Hollywood, Pixar (another Jobs investment, at first) was the earliest early-adopter of this new manner of corporate image: Not merely purveyors of expertly-crafted, dewey-eyed appeals to nostalgia, whimsy and Americana, they were themselves a gang of earnest stargazers who gently sculpted their films in meetings where "story came first" between office-wide Nerf battles. One by one, these facades fell (Foxconn, Google's simmering class-war in San Francisco) or changed (Cars) but managed to do so without actually damaging the bottom line. "Hm. So buying an iPod doesn't actually make me a better, freer, more open person. Oh, well - on the plus side, I have an iPod!" You can see the same basic cycle being deliberate re-upped today - yes, The Lego Movie was a genuine delight... it's also still a 90 minute commercial for Lego, and even its warm n' fuzzy appeal to reaffirming the value of creative play alternately reaffirms part of the brand's key marketing points: That these toys are actually good for your kids.